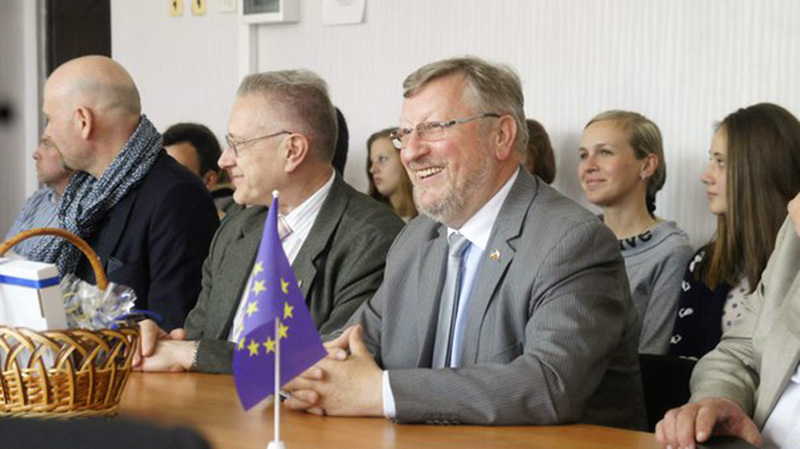 Project “Promotion of export development of SMEs in Kremenchuk” (Pleddg project). Public Association “Regional Branch of the All-Ukrainian Public Organization“ Association of Taxpayers of Ukraine ”in the city of Kremenchuk”, the Fund for the Support of Entrepreneurs. The seminar was attended by representatives of small and medium-sized enterprises of the city. The purpose of the event was to tell exporters that in Ukraine it is possible both to continue working and even grow. After the conclusion of the association agreement, the European Union’s market as one of the largest markets became closer and open for Ukraine. The seminar addressed issues of taxation of export operations, customs control, the implementation of foreign exchange transactions. The listeners were also told what to actually expect exporters in the field of taxation of foreign economic activity in 2019. The seminar was opened by the head of the Kremenchug Directorate of the Main Directorate of the State Fiscal Service in the Poltava region, Yakimenko A.S.
Novice exporters had the opportunity to ask questions and get answers and practical advice from experienced specialists of the PG State Fiscal Service in Poltava Oblast Polivoda I.V., Tesla L.I., Komorny S.M. First Deputy Director of the Kremenchuk Branch of JSC KB Hennadii Danileiko told in detail about the implementation of banking operations in accordance with the current currency legislation. In his speech, the chief inspector of the customs clearance department No. 1 of the Kremenchug customs post at the Poltava Customs Department of the State Fiscal Service of Ukraine Yurii Kravchenko outlined the main points of customs operations, cited examples of problems that may arise in their implementation. It is clear that some of the information presented to the listeners is also publicly available. However, the subtleties and knowledge of “bottlenecks” become available only when communicating with professional consultants. Each of the speakers is a real expert in his field, so for almost 3:00 the events were informative, but not boring.